Checking it out mainly because of Joong-Ki, but decides to give it a try because I’m interested after reading the synopsis: solving murder mystery that leads to another bigger mystery. It’s a sageuk (obviously) and full of hanboks, so I think it’s going to be one of my stress reliever when I can’t understand a single word when I’m watching. Anticipating this to be good as the predecessor dramas in this timeslot have been quite a bomb in terms of ratings and storyline. The stills are pouring out like crazy! This time, I took it from the Twitter and they’re so fast in uploading the pics. I do think that they’re as excited as the viewers. And since the preview for ep 13 was out yesterday, the stills are from the preview (as for the time being) but they are so cute. Congratulations SBS, you’ve just piqued my interest up for tonight’s episode. One of the great things about SBS dramas is they have such a great team of cameraman and photographers. Besides the excellent camera work, the stills taken during the filming are so pretty and it has the ability to make people feel giddy, just from trying to picture the scenes. It feels good to go stalking the official website of Protect the Boss and looking at the pictures. My old habit since 49 Days has returned: saving the stills in my computer. Now, it’s their turn~ the bosses and the secretary! The good things that happened to me today: I got to live, eat, and sleep, and most importantly, I’m able to watch ep 13 of 49 Days 😀 Life’s getting pretty hard on me lately, and thanks to 49 Days, I’m able to escape from the reality, even for a short time. Thinking about how I come to watch 49 Days, it’s all because of.. This is not Yi-Soo or any form of Scheduler’s disguise, don’t worry and be rest assured. This is Tae-Yoon, from My Fair Lady. 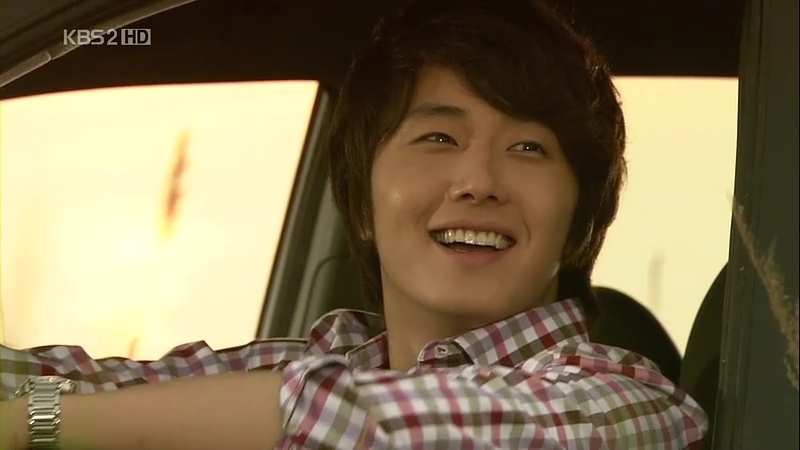 Because of him, I get to know a person with the name Jung Il-Woo, and because of Jung Il-Woo, I encountered 49 Days, which is something that I’ll always be grateful for.